Hit play below to listen to our Arts Alive feature with Morris Robinson. Morris Robinson is a bass. You know he’s a bass as soon as he opens his mouth to say hello. Robinson recently finished a run at LA Opera as The Grand Inquisitor in Verdi’s Don Carlo. He’s currently singing the role of Parsi Rustomji in Philip Glass’ opera Satyagraha also at LA Opera. 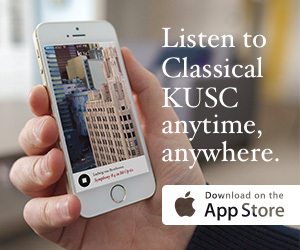 But as Robinson told KUSC’s Brian Lauritzen, his path to becoming an opera singer was anything but direct.